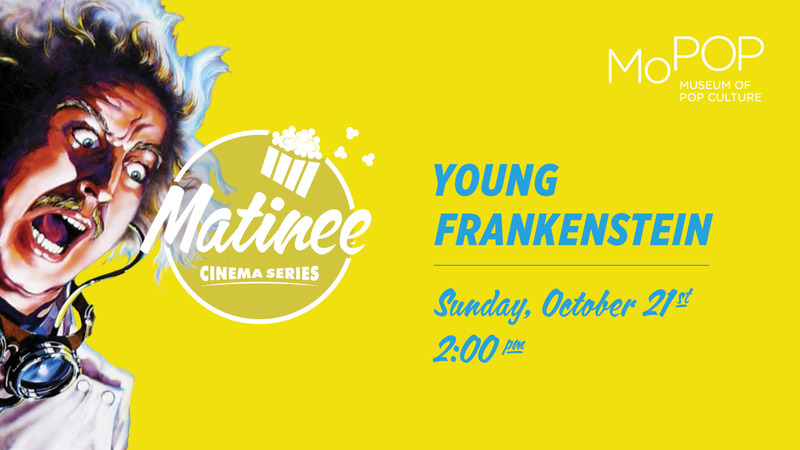 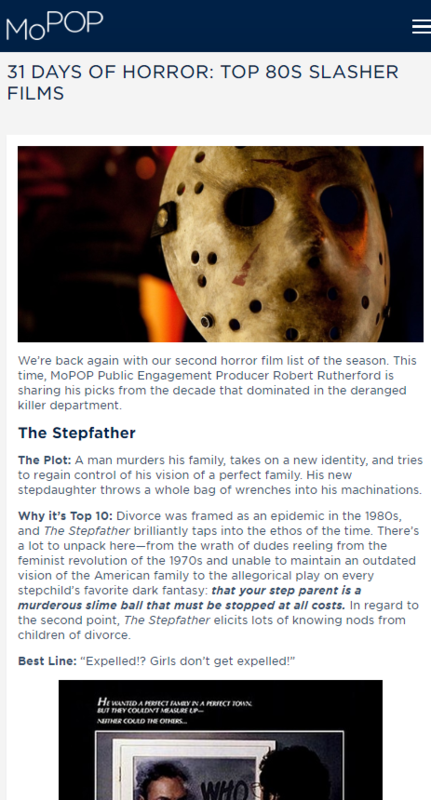 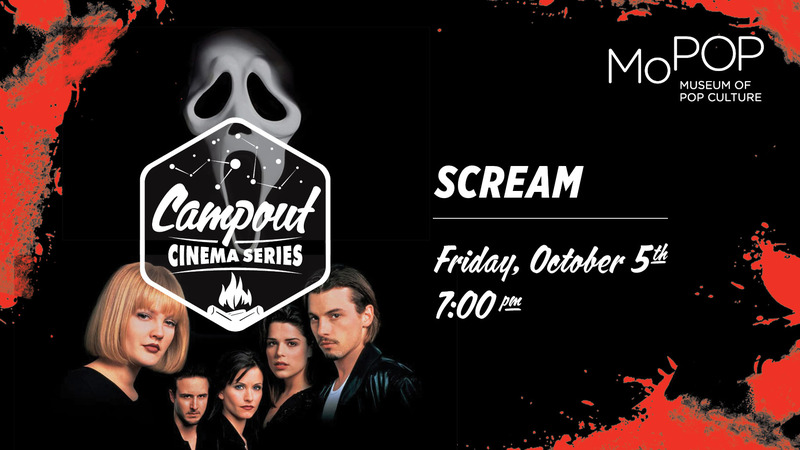 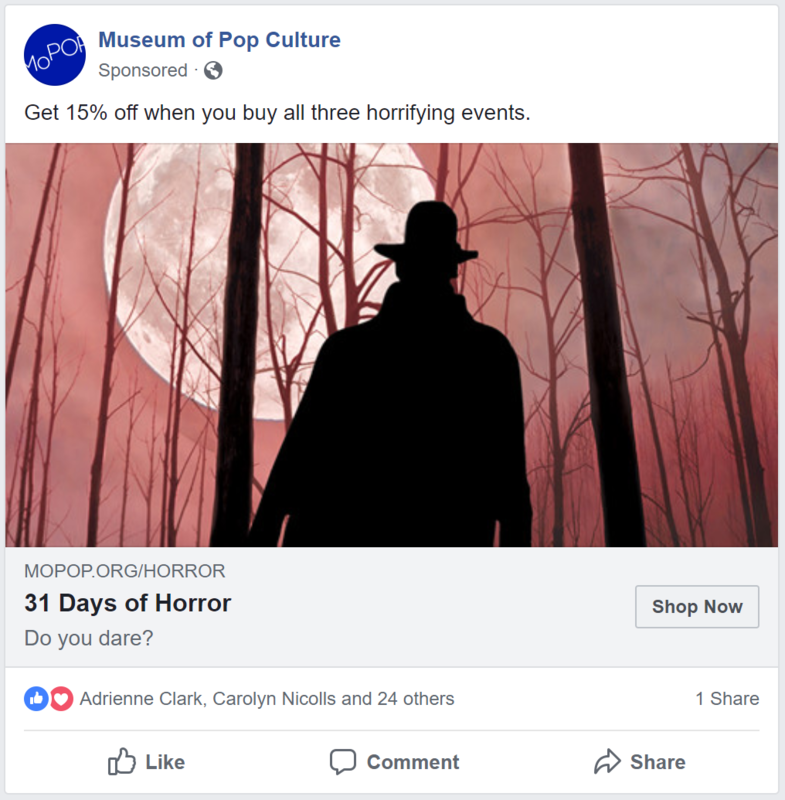 The goal of this campaign was to celebrate the genre of horror by promoting Scared to Death: The Thrill of Horror Film exhibition, October events, activations around Seattle, and 31 days of terrifying content on the blog and social media. 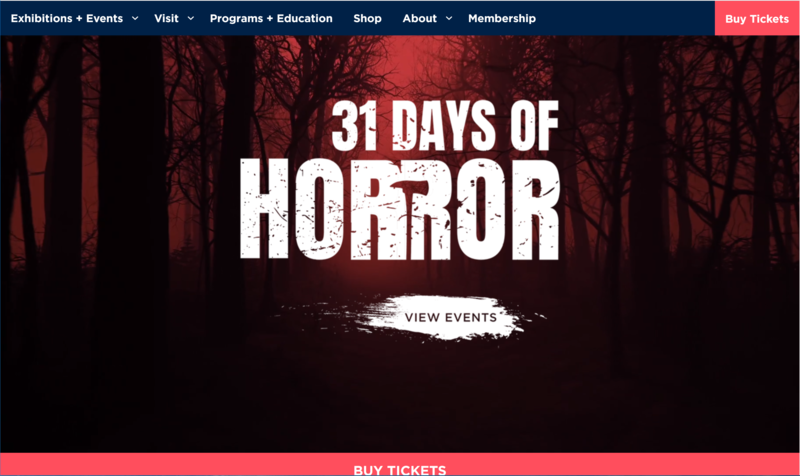 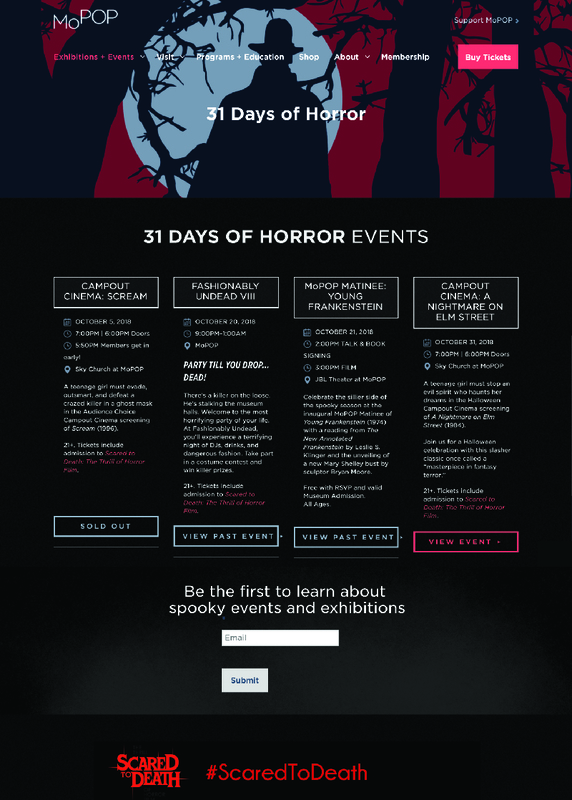 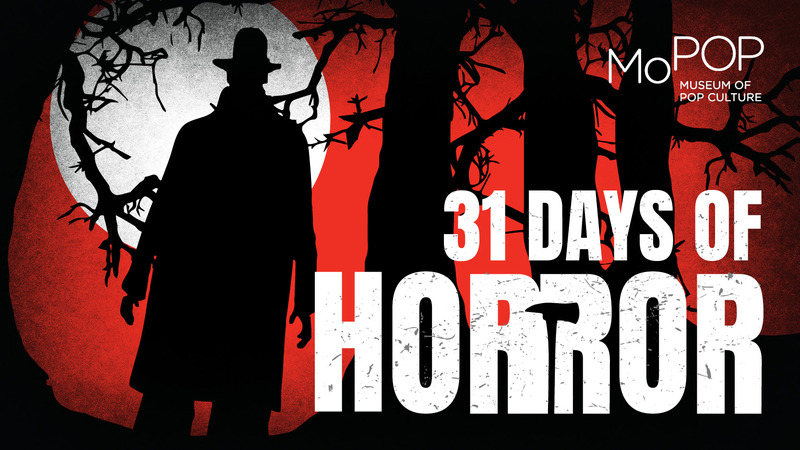 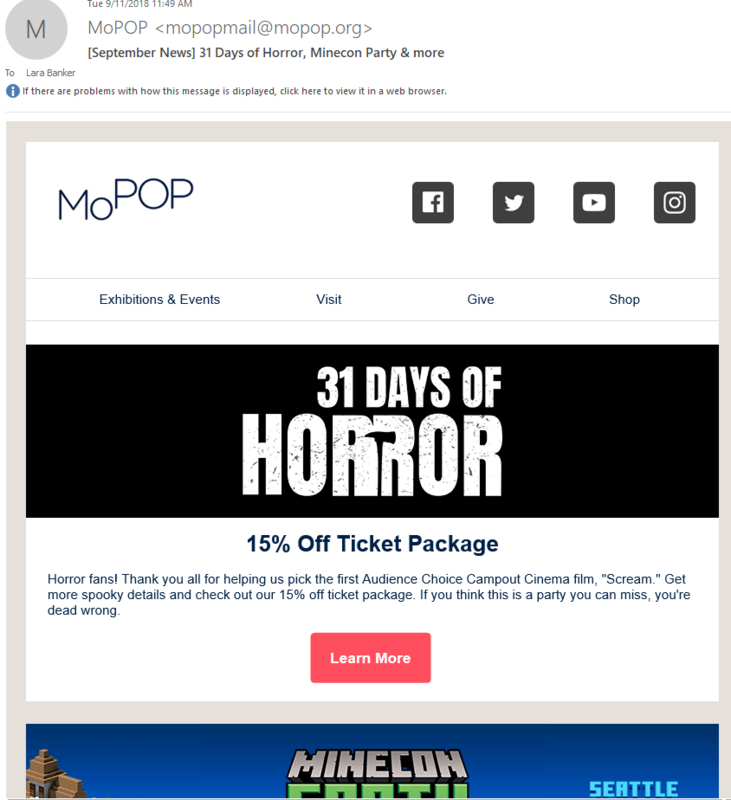 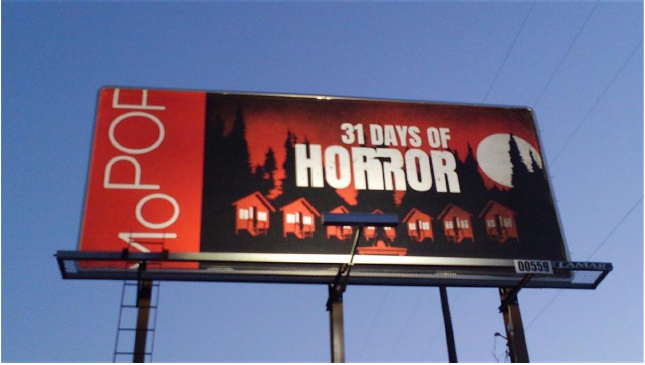 In order to tie all of the components together, we created an overall marketing campaign called 31 Days of Horror to encompass the individual parts. 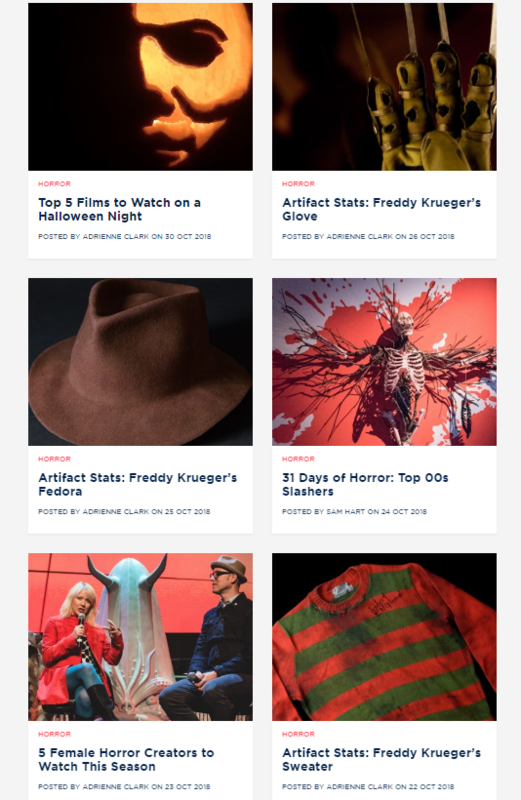 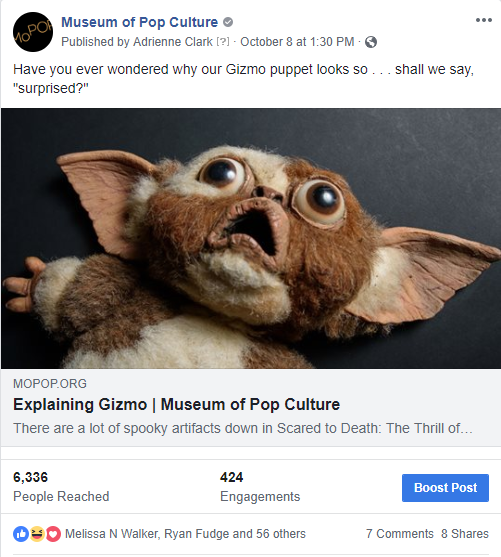 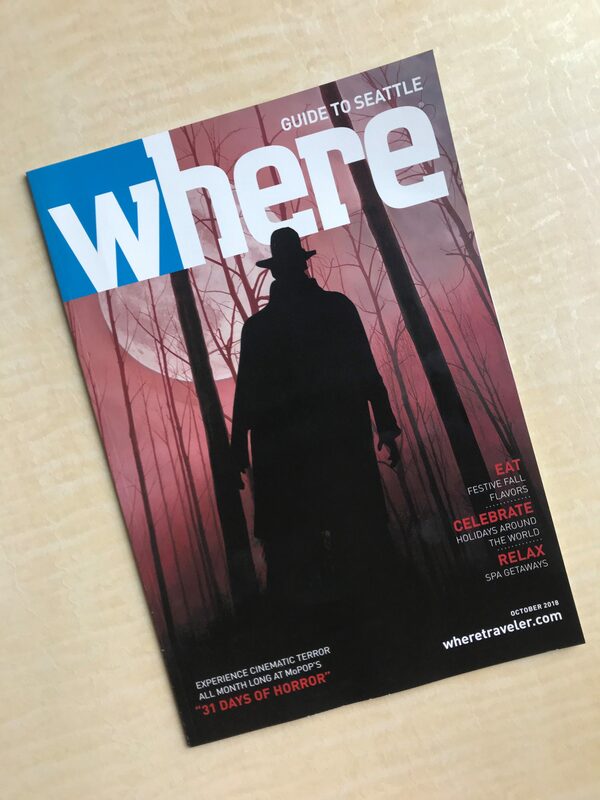 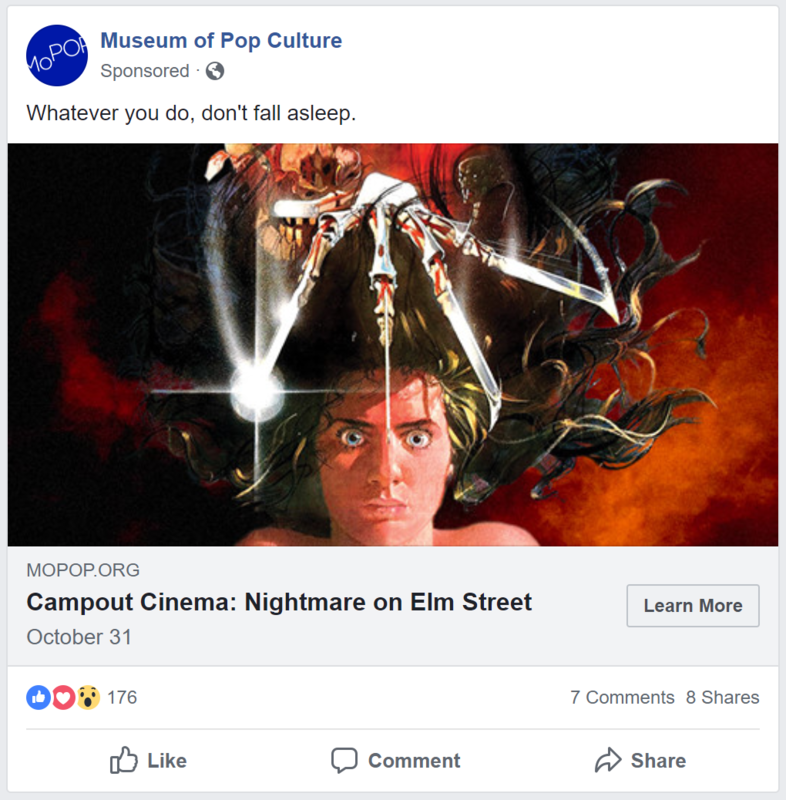 We partnered with Cinerama and the new release of Halloween to follow a Michael Meyers cosplayer from MoPOP to Cinerama and promote on social media, which generated some really fun chatter on Instagram stories. 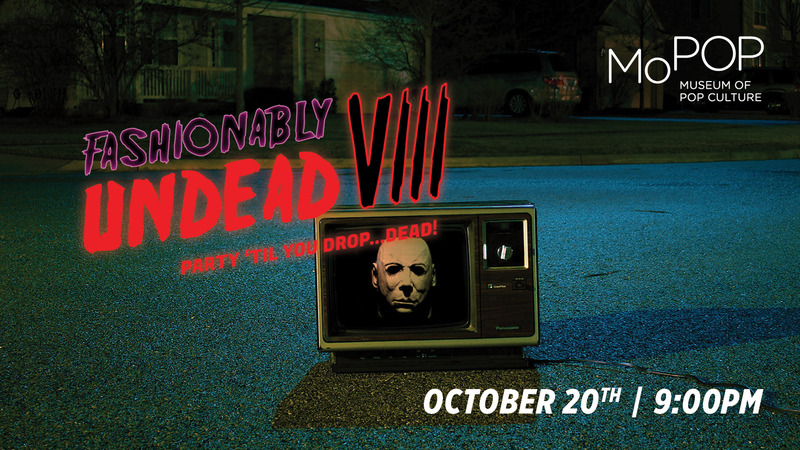 We also partnered with local cosplayers to attend our Fashionably Undead VIII party.